I’ve teamed up with my friends at LEGEND Compression Socks to round up the Top 10 Fun Runs happening all around NC this Fall! Check out the 10 Runs taking place below – Where, When, What & Why – to see which ones sound the most fun to you! Perhaps you even get a head start on your training this summer! 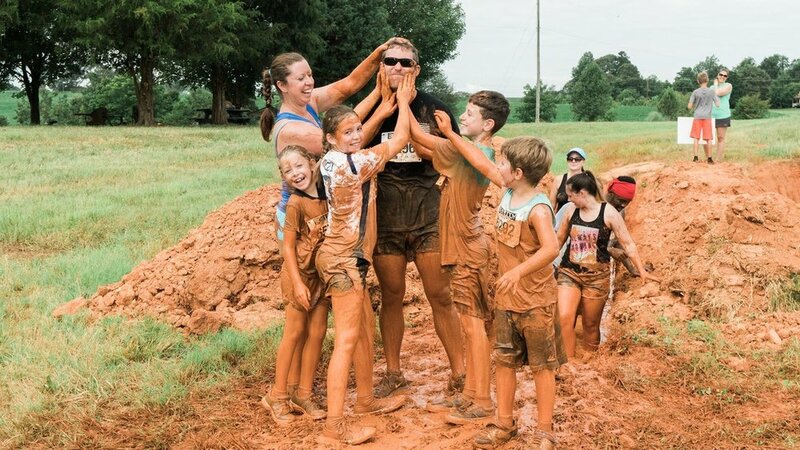 WHEN : Sept. 2, 8 a.m. – 3 p.m.
WHAT : The Big Muddy Challenge is a Parent/Child, age-appropriate muddy obstacle run. Adults and their child(ren) utilize each other’s physical and mental strengths to reach the finish line. WHY : This is a great chance for families to get messy, laugh and have fun! WHEN : Sept. 3, 11 a.m.
WHAT : The Go Jump in the Lake 5K, 10K, and 1.5 mile walk/fun run is exactly how it sounds: a foot race with the finish line at the banks of Spring Lake where jumping-in is highly encouraged. The course takes participants through Boiling Spring Lakes on a flat course of mostly paved asphalt. WHY : What better way to end a race than to cool down in a beautiful lake? WHEN : Sept. 4, 6:45 a.m.
WHAT : On Labor Day, Vac & Dash will host the Waffle House 10K Plus Run. The free event, is a non-timed event that takes runners from one Waffle House to another Waffle House and back. WHY : You can #treatyourself to waffles after the race. WHAT : This race is 10 hours of paddling, trekking and mountain biking in the mountains of the Pisgah. Strategy, orienteering and the ability to push through some challenging elevation changes will always be a premium in the Pisgah! WHY. It’s a spin on the old classic triathlon. WHEN : Oct. 28, 5:30 p.m.
WHAT : Put on your craziest costume and get ready for five kilometers of fun. After the run is a costume contest and free gifts followed by an after party at Draught Charlotte! 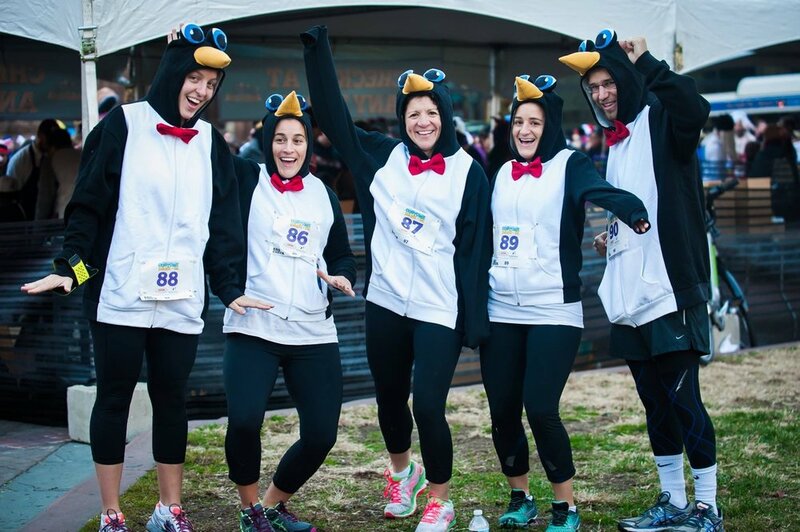 WHY : You’ll have a blast running in a ridiculous outfit and people-watching. WHEN : Nov. 12, 7 a.m.
WHAT : You’ll cross the beautiful Washington-Baum Bridge, and finish in the waterfront village of Manteo. Yes, it’s “Fried” but in a fun, festive way. You’ll get your Southern Fried Sweet Taters at the Finish! WHY : Beautiful views and good eats after the race! WHEN : Nov. 24, 8:30 a.m.
WHAT : The race is an 8k, 5k, or 1-mile fun run. It is a Thanksgiving-Day family tradition. WHY : Work up an appetite for your thanksgiving meal and see people in turkey costumes. 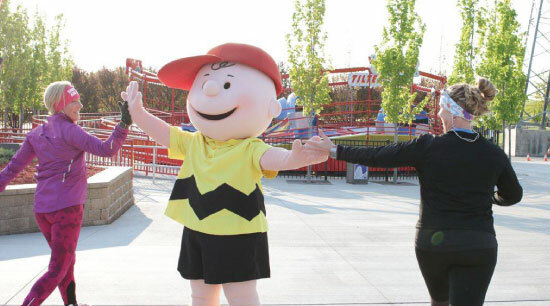 WHEN : Sept. 10, 10 a.m.
WHAT : This 13.1-mile gem will have you winding in and out of the park, passing through the underbelly of coasters, running back in time through Dinosaurs Alive, waving to Snoopy and his friends, and seeing some of the behind-the-scenes action of this fabulous amusement park. WHY : A pass to the theme park is included with ticket purchase! WHEN : Sept. 23, 9:30 a.m.
WHAT : Lace up your running shoes for the Wild Vine Half Marathon & 5K. The 5k provides a quick and fun race for the casual runner, while the half marathon distance provides a great event for runners in training. WHY : When the race is finished, the wine sampling begins! WHEN : Sept. 24, 8 a.m.
WHAT : The race courses travel through the beautiful planned community of Brunswick Forest on paved running trails, through picturesque Meadow Park, across wooden bridges and over a 1/3 mile elevated boardwalk through a nature area. The course is flat, fast and picturesque! WHY : Post-race party and awards beside a small lake with free beer, good snacks, massage, exhibitors and prize drawings for gifts. No matter which race you decide on, don’t forget to pick up a pair of LEGEND Compression socks or sleeves. The fun colors will pump you up for your race and the compression will extend the life of your legs so you can do Fun Runs for many years to come!